Hello! I've been a Palm Beach Resident for over 25 years and knowledgeable with the vast assortment of communities situated in Palm Beach County. In addition to being a full-time Realtor® and member in good standing with top recognized Realtor® Associations both locally and nationally, I am a Graduate, Realtor Institute (GRI) offering buyers and sellers in-depth knowledge in technical aspects and real estate fundamentals, Seller Representative Specialist (SRS) to assist homeowners navigate the complicated process of selling a home in today’s informed and competitive market and Seniors Real Estate Specialists (SRES) to address financial and lifestyle changes for clients 50+. Not only do I love my profession but I am committed to maintaining a strong educational foundation in real estate to better represent you and your investment. I utilize updated technology, advertise on 900+ real estate websites including top consumer-driven sites like Zillow, Trulia and Realtor.com as well as social media and private network groups to efficiently market homes and connect buyers and sellers for a win-win outcome. If you are considering selling your home or in need of buying a primary or secondary residence please consider working with me. When you combine my real estate experience and global connections you have absolutely nothing to worry about. * Conditions Apply. Fun Fact: I'm also a Naples resident and can assist with your real estate needs here too! Slogan Every Buyer & Seller Needs An Ally! I confirm that I worked with ALLY MILLER in the buying or selling of this property. - Ally paid great attention to the details and the house pictures were very professional and looked great and created a lot of interest . We received a full price offer after being on market a short time . Inspection and closing went very smooth . If I ever have another house to sell ally would be my first call . We actually bought the house with ally as our agent and she was the first call to sell it and she was amazing . 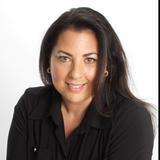 - Ally was my listing agent for a condo sale in Ocean Ridge, FL. She was referred to me by a neighbor who already worked with her to buy another property and was thrilled with her help. She is professional yet personable, efficient yet always had time to respond right away, and very knowledgeable about marketing a property on social media. Not only did she list my property for sale but she also brought the buyer! The sale from contract to close went very smoothly and quicker than I expected based on my previous real estate purchases. Ally is a pleasure to work with - I recommend her without reservations! - Ally was the top pick on the sites I've visited . She was just that. All around professional with a personal touch. She helped me sell my fathers condo in less that a week and negotiated for a higher asking price due to the demand of the propery. She worked with me every step of the way . Handling all the paper work and red tape of a condo association. Best experience with a realtor I have every had. She is honest and truly caring , like a friend. - Ally was extremely knowledgeable and professional. She possessed an innate talent for understanding our specific requirements in order to sift out potential homes tailored to our needs. When it came to making our decision, Ally provided us with guidance instead of applying pressure or haste. Her only mission was to find us our perfect new home. Because of her, we were able to move on from a house that was almost the one, to our perfect place. Ally's skills, professionalism and personality are stellar. She's the real deal! She is an amazing individual and realtor. - Ally was very professional but also very empathetic to my situation. My husband passed away recently and I decided I did not want the responsibility of owning a home and longer so I contacted Ally to sell my home. Not only did she sell my home quickly at a price I was very happy with but she found me the perfect rental. I am so happy with Ally's service and would recommend her highly. - Ally Miller is my 6th realtor used for selling and buying and by far the best. Ally is extremely competent and detailed and on top of everything before anyone else. Her span of knowledge will surprise you. Her great mix of friendliness with professionalism makes it a joy to work with her. Ally sets the bar extremely high for any other realtor. The only thing one may be concerned about with Ally is if she gets enough sleep judging from how much work she gets done. - As a buyer and seller of quite a few homes, it was truly a pleasure to work with Ally. She is extremely professional and proactive in every step of the process. She was always honest and we trusted her completely. Ally is top-notch and will work very hard for you. We highly recommend her if you are looking to buy or sell a home in the area.